Here is a basic course outline, from the engineering viewpoint, for cryogenics.There are nine chapters divided into three parts. The objective is an understanding of the breadth of cryogenics and of the meaning of a cryogenic system. The goal is to equip people for practical, real-world applications in whatever their roles may be, therefore advancing cryogenics for the improvement of the lives of all people. 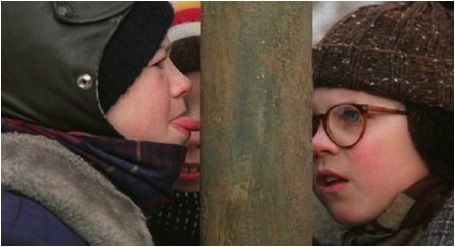 Ralphie's friend getting an education in triple dog cold.